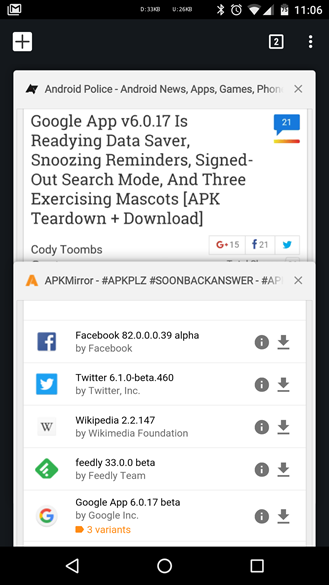 Want to spice up your tab view? There's a flag for that... if you're using Chrome Developer Channel v53 on Android. 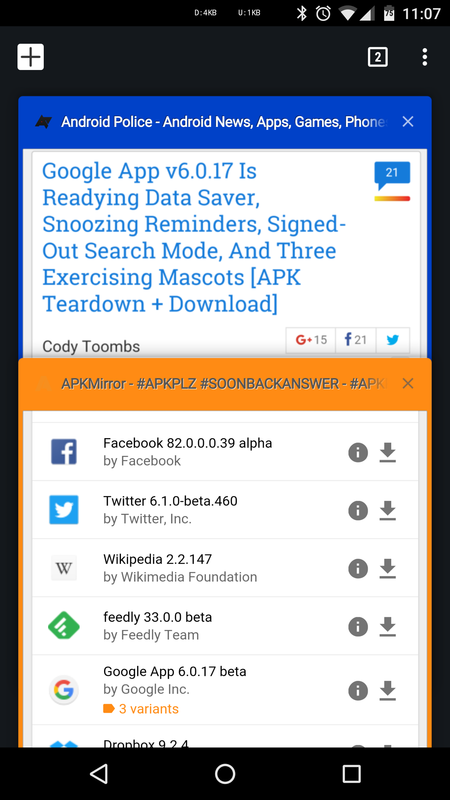 The newest Chrome Dev for Android adds a new flag for just that: #tab-switcher-theme-colors. When enabled, this flag will color your open tabs in the tab manager interface in Chrome, just as they're colored when viewing a single page. The tab theme-color attribute was finally added to all versions of Chrome regardless of your usage of merged tabs back in January earlier this year. I have to admit, it does look pretty sweet to see your tab colors in the tab manager UI. Here's a before and after. 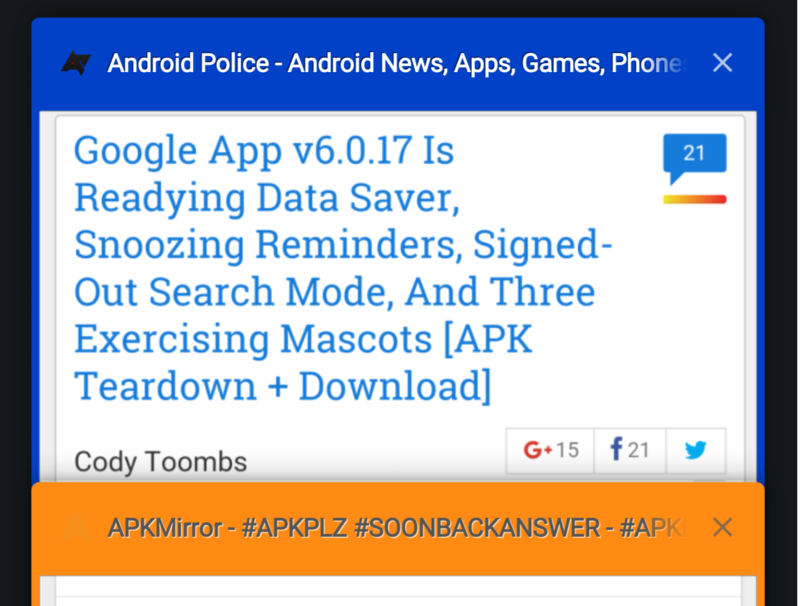 You can get the newest version of Google Chrome Dev for Android on APK Mirror right here.